Phew! In the whirlwind of the past few months, I haven’t had a chance to update. But here I am again, to complete the London leg of my blog posts. I’m going to be honest with you – this part of the day was a little on the random side. Let me tell you why. This was a pleasant surprise in my London adventure. 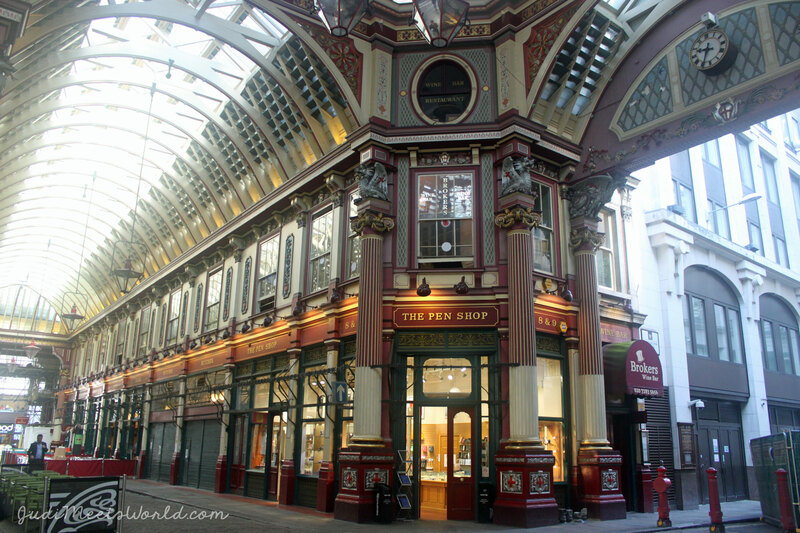 Leadenhall Market is downright gorgeous – gorgeous enough to make it to the title photo of this post! Leadenhall has been around since the 14th century and is a covered marketplace that is now home to restaurants and boutique shops. I honestly never knew of its existence until I came across it in a quick online search of the hidden must-sees that London has up its sleeve. Leadenhall is certainly not a tourist destination, as evident in these photos that were taken around 10:00am. I suppose they don’t quite know what they’re missing. On my next trip out, I’d definitely make it a point to visit this again, and try some of these patios. To find out more about getting to Leadenhall Market through public transportation, click here. Need I say more? The hopeless romantic in me couldn’t help myself but wander over to Notting Hill, even if it wasn’t a market day. The colours of these homes are such a sight to see. Portobello Road also was a part of my childhood via the old movie Bedknobs and Broomsticks. My father had very eccentric taste in the movies he got for me. Of course, one of the biggest draws to Notting Hill is the bustle of the weekend Portobello Market where Portobello Road is lined with stalls of artisans, local produce, and all sorts of items. 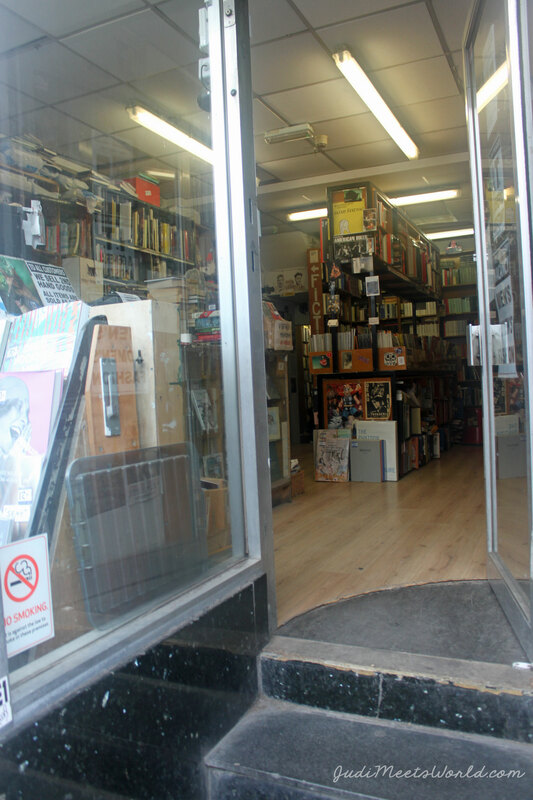 While you’re at, go and make your way into a Notting Hill bookstore and channel your inner Julia Roberts. 🙂 Challenge yourself and find the little blue door – something I certainly will have to visit my next trip out. There are tours that do a tour of Notting Hill based on landmarks and venues seen in the movie. These tours also make stops at landmarks seen in other British RomComs including Love Actually and Bridget Jones’s Diary. 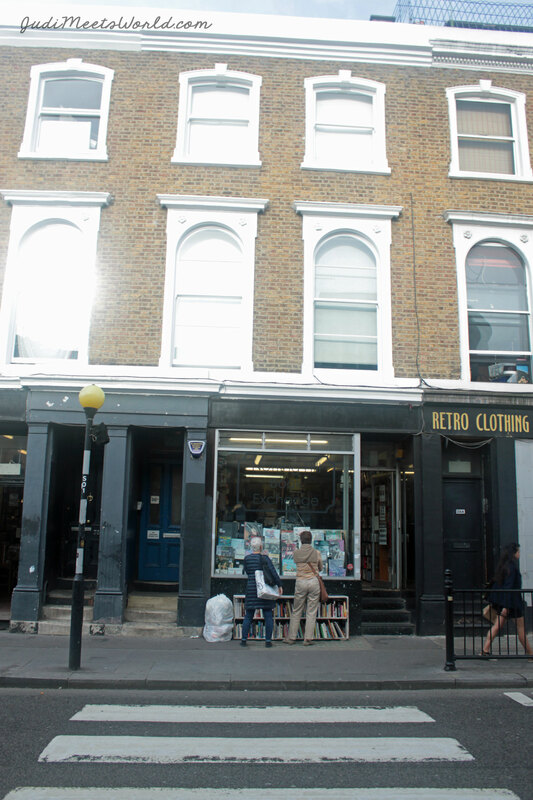 No, this bookstore and its adjacent blue door are not the ones used in the film (I believe) – I just thought it was quaint to have them in one shot. I suppose this would be a great time to stop gushing about this district. I’m definitely going back. 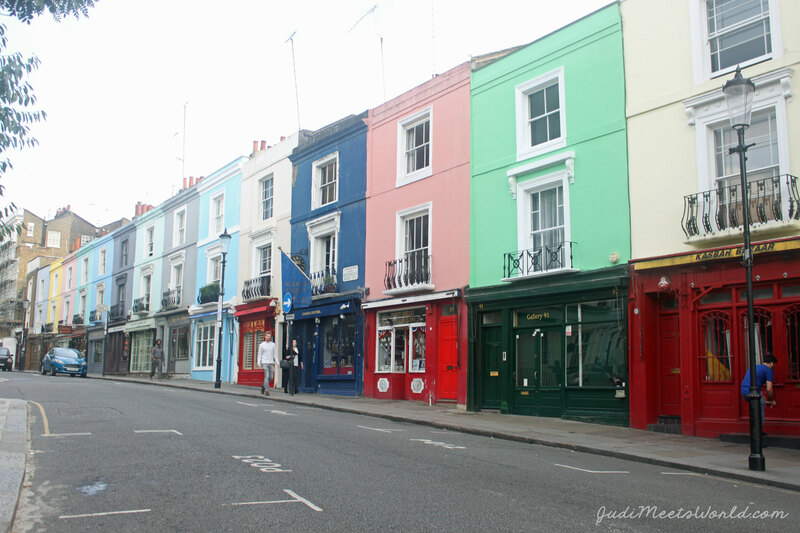 For my Notting Hill enthusiasts – which shops should I check out? Which vegetarian-friendly restaurants would you recommend for my next visit? Let me know in the comments, or get in contact with me! As always, thanks for reading!